As a master negotiator, Sasha has made achieving the highest confidence of her clients the hallmark of her business approach. She started her career in sales in Orlando, Florida with an international telecommunications company. She quickly moved up the corporate ladder into sales management. 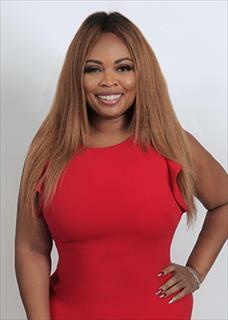 In search of her true calling, Sasha moved to the Washington, DC metro area and made a career leap to property management, developing a deep passion for real estate along the way and finding a home in the banking and financial services industry. While completing her Master’s Degree in Business Administration, she worked in investment management, overseeing a multi-million-dollar portfolio and assisting clients in reaching their financial goals. Over the last 10 years she’s seen and personally experienced the unprecedented growth of the local real estate market. As a mother of four, Sasha is an expert multi-tasker. Once her youngest child entered high school she decided to fulfill a life-long dream and founded her own publishing company, through which she’s authored the first novel of a three-part series. In her spare time, she enjoys meditation and listening to live music. Now, as a licensed real estate professional through Berkshire Hathaway HomeServices PenFed Realty, she takes special pride in bringing her clients the peace of mind that their real estate objectives will be met with excellence and due diligence. Sasha’s 20 years of experience in the banking and financial services industry, coupled with her expertise in property management and client relations uniquely equip her to serve as your trusted real estate advisor. Sasha will find and negotiate the best deal for you.